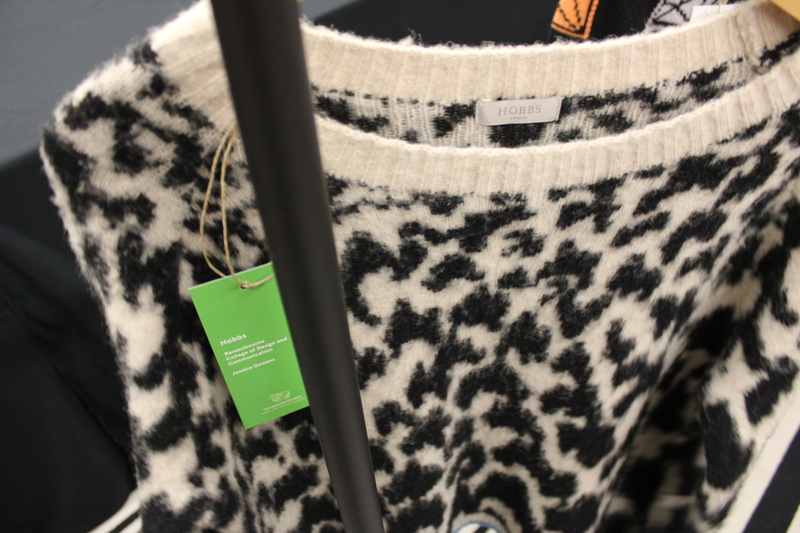 Wool is experiencing a stylish resurgence, and Wool School 2013 is highlighting Scotland’s design talent and manufacturing prowess. Of all the things I love about autumn – walking through a misty Meadows as the leaves turn red, yellow and orange; bottomless cups of violet tea at Lovecrumbs; the arrival of cox’s orange pippin and squashes in every shape and size at the Farmers’ Market – wrapping up warm in a good knit has got to come top of the list. 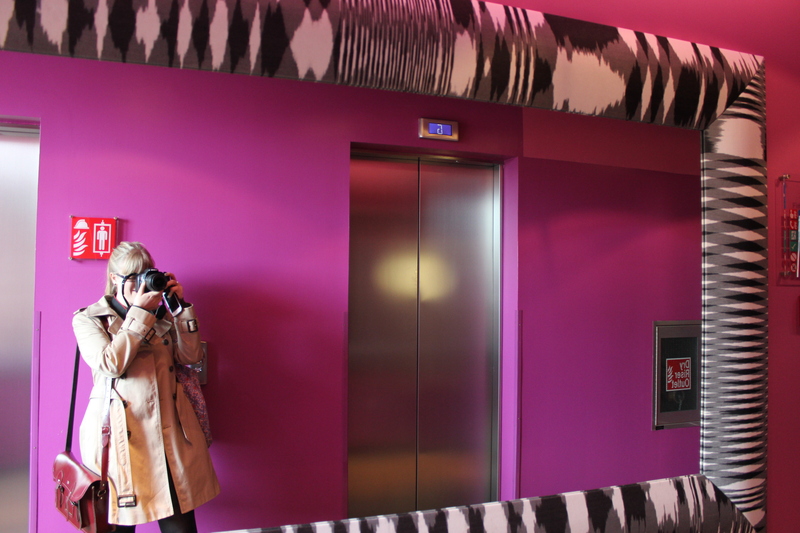 So when the Campaign for Wool invited me along to Hotel Missoni a few weeks ago for a sneak peek of the designs by this year’s Wool School Initiative finalists, I jumped at the chance. Wool has always been such a strong part of Scotland’s style heritage and our manufacturing skill and wool craftsmanship have never been in more demand, with high profile fashion brands such as Chanel making Scotland their go-to for premium quality knitwear. Our homegrown designers have also developed a strong reputation for their fresh, modern take on wool in their work – such as Rosie Sugden’s bold, cashmere bobble hats, and Hilary Grant’s playful, patterned woollen accessories (more on her new collection soon). The Wool School showcases both quality manufacturing and innovative design, highlighting the sheer versatility and creative potential of the knitted medium. The Campaign for Wool – of which HRH The Prince of Wales is a patron – is now in its fourth year and to celebrate the Wool School has partnered 15 designers from leading textile and fashion universities with 10 of the UK’s top fashion brands. 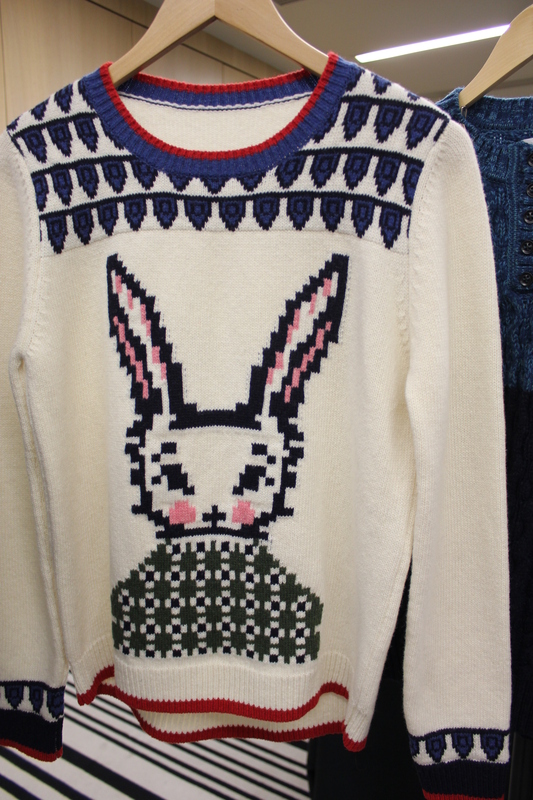 The jumpers have just gone on sale to coincide with Wool Week (14th – 20th October) and I was very pleased to see that Scotland has a major role to play in this year’s initiative. 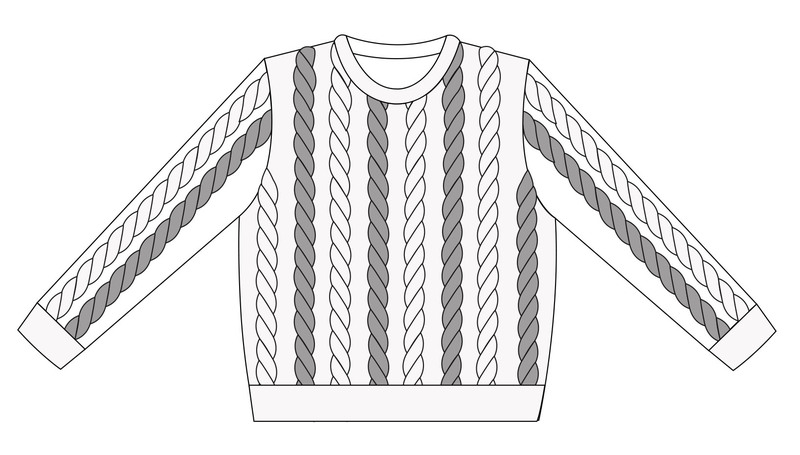 This year’s theme is ‘knitwear traditions of the British Isles’, and each institution invited students to design a wool jumper to this brief with their particular partner company in mind. I was delighted to see many of the winning designers turned to Scotland as a source of inspiration as well as utilising Scottish craftsmanship and manufacturers. 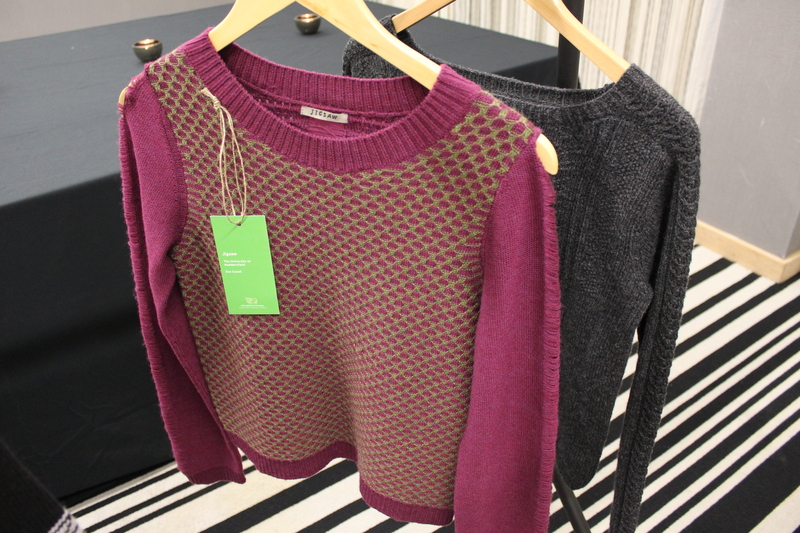 Margaret Howell worked with Scottish knitwear manufacturer Eribe to hand knit their design by Emma Brooks from the University of Brighton, resulting in a more natural finish rather than the uniformity of a machine knit. 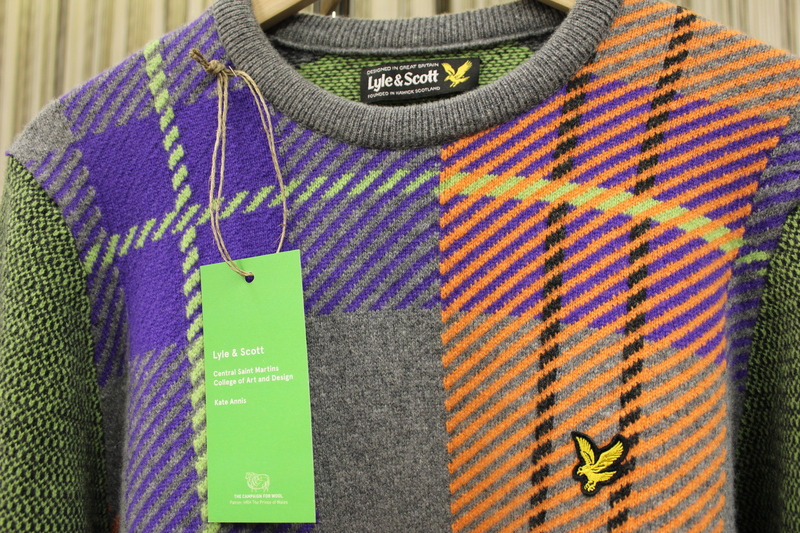 Lyle & Scott have manufactured their designs in Hawick since 1874 and Central Saint Martins student Kate Annis’ innovative take on tartan is a fitting way to celebrate the brand’s 140th anniversary. 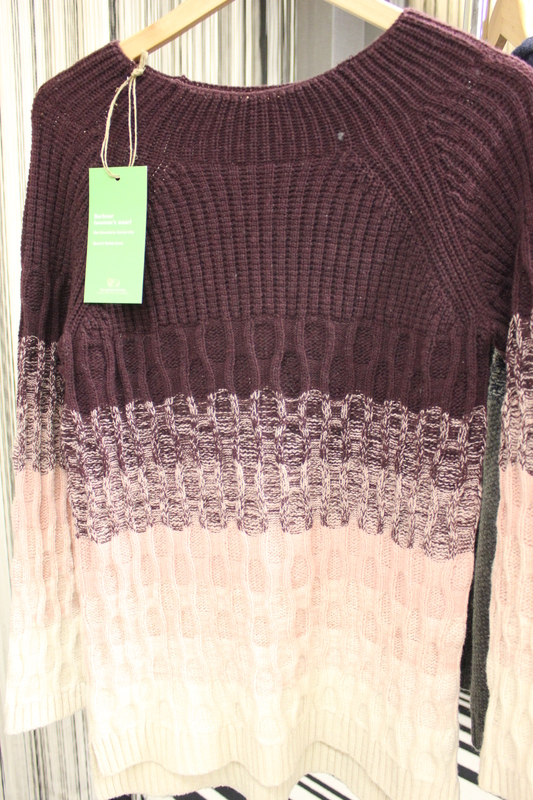 M&S also made their winning Wool School designs in Hawick, which are part of their ‘Best of British’ campaign too. 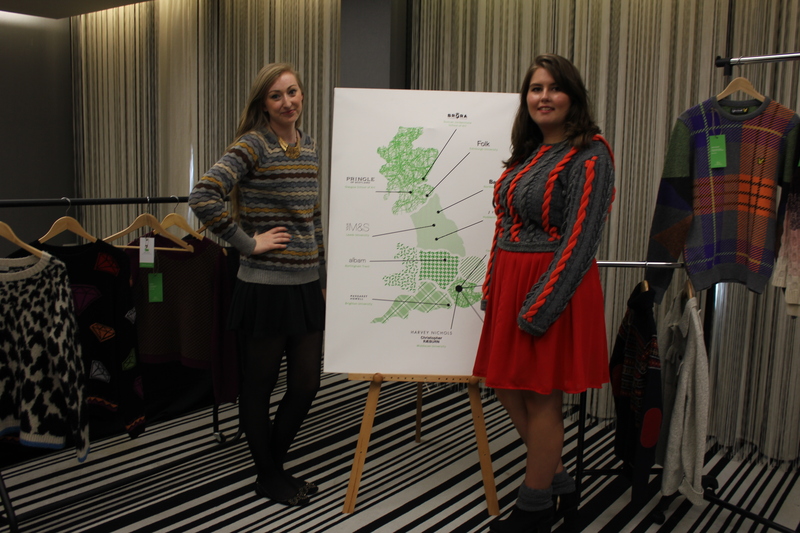 Folk joined the Wool School cohort this year, teaming up with the University of Edinburgh. ‘Wool is such an important natural fibre and the possibilities when working with students are so vast as they are in such a creative environment without too much knowledge of the manufacturing constraints,’ says founder and designer Cathal McAteer. Emma Lawrie’s modern take on traditional techniques caught their eye. Inspired by Gansey knits once made for fisherman, Lawrie gave the style a contemporary twist with three-dimensional rendering and bright orange highlights. It was certainly one of my favourite designs , and looks even better in person (ably modelled by Emma in the first picture). 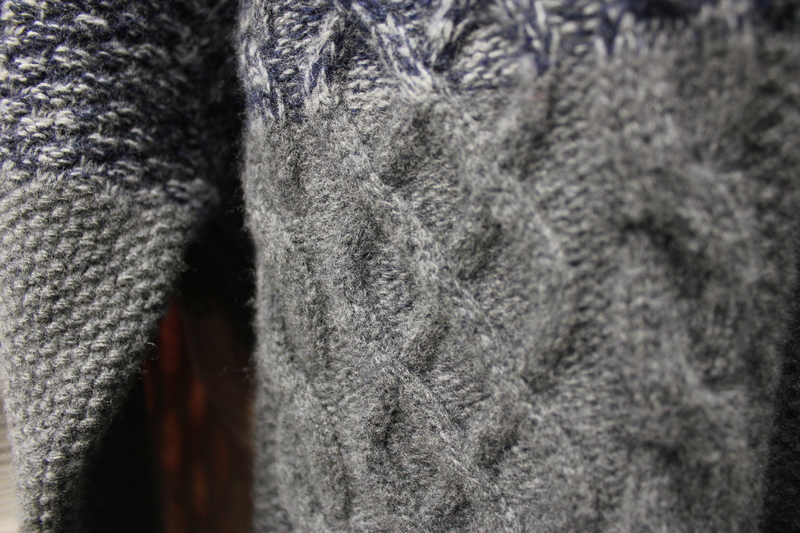 Brora were also a new addition to this year’s Wool School, bringing their rich Scottish mill heritage to the project. 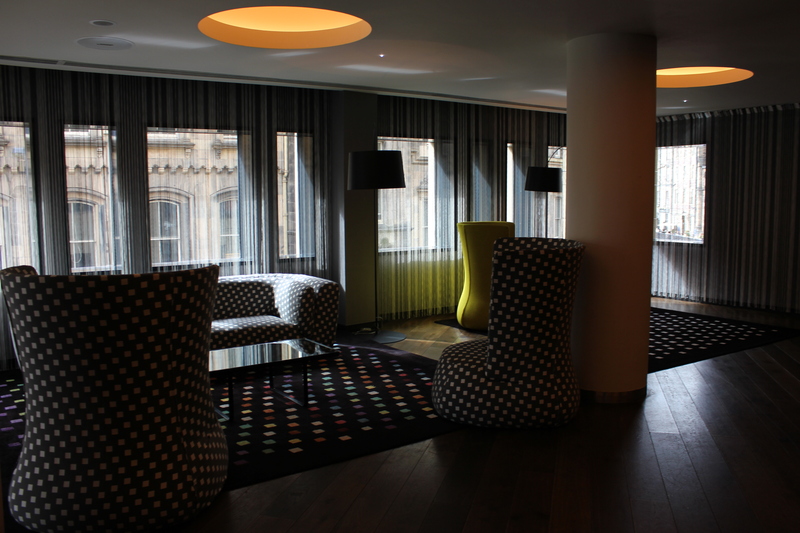 They partnered with Duncan of Jordanstone College of Art and Design; founder Victoria Stapeton chose Lindsay McQuarrie’s unique horizontal stripe design made from brushed yarn because of its contemporary take on Scotland’s heritage with its ‘earthy colours and tangy shades’. 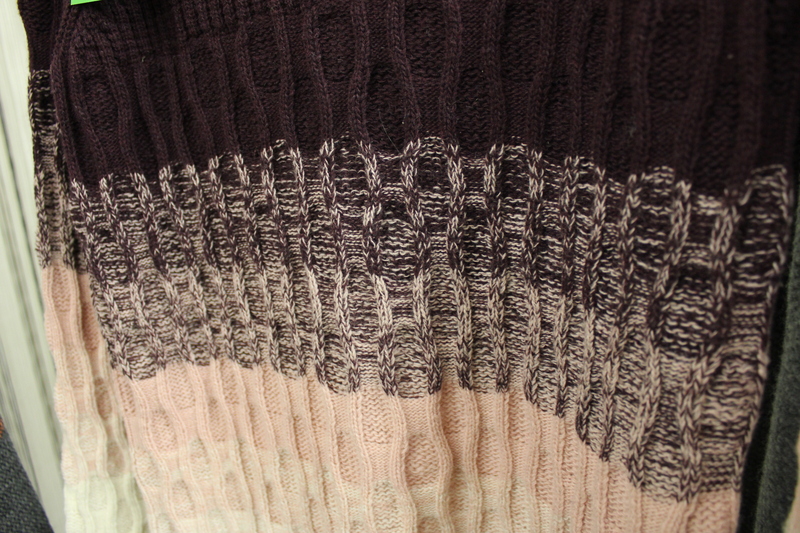 The finished knit was manufactured from Shetland wool and I just love how the colour and pattern work together. 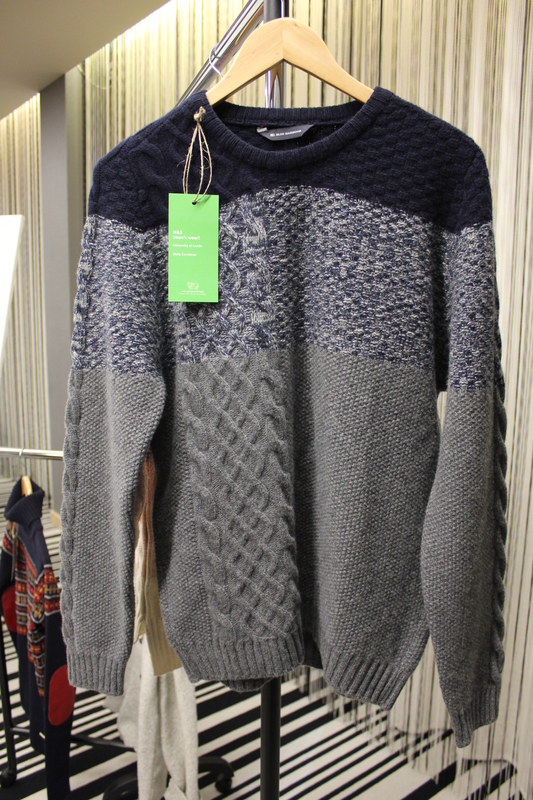 This year Scottish heritage knitwear brand Pringle took part in the Wool School once more, partnering with the University of Glasgow. 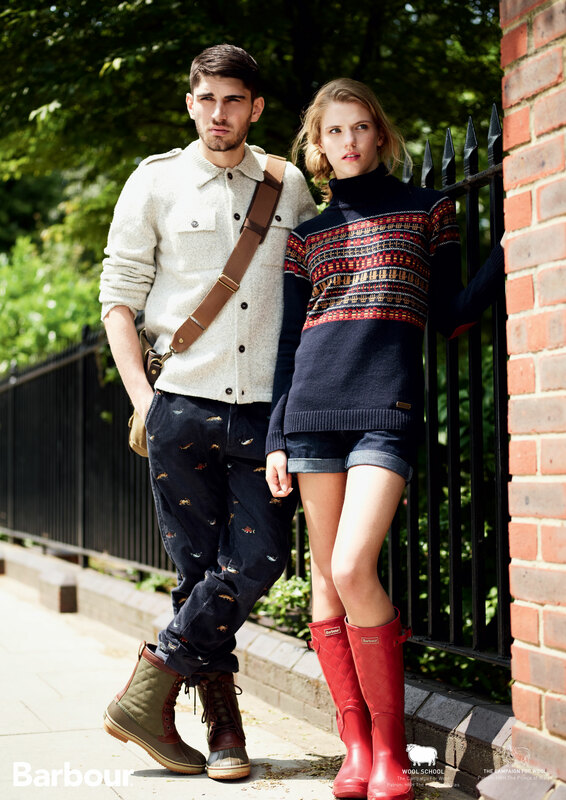 Francesca Stride’s boat neck, fine knit lambswool sweater features a reverse intarsia take on the fashion house’s signature Argyle print that caught Pringle’s eye. 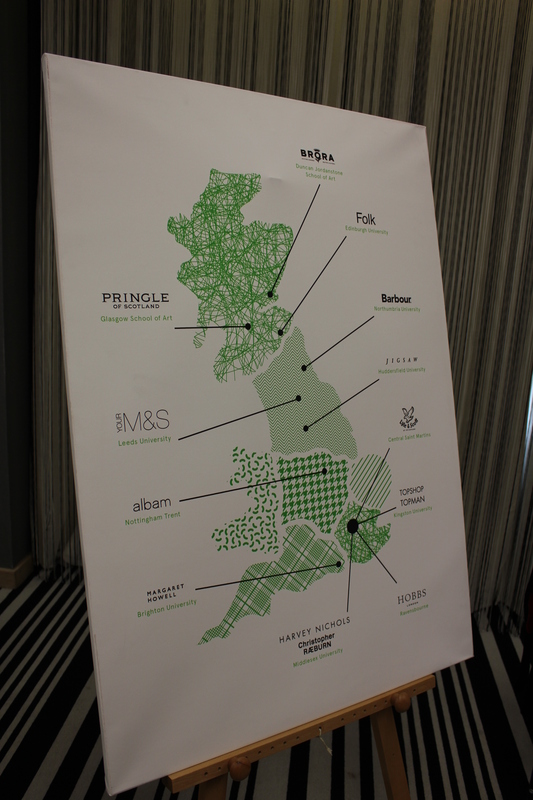 ‘Francesca’s entry gives us the biggest technical challenge, but the outcome of the graphic is really strong’, said Pringle’s Design Studio Manufacturer Katy Wallace. The finished design is made from Scottish spun lambswool washed in the waters of the Teviot to create a soft hand feel, and will be added to Pringle’s prestigious Hawick mill archive. 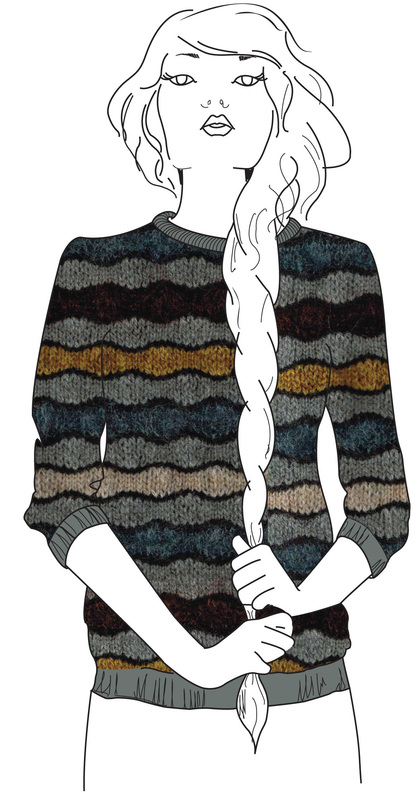 Thanks to Wool Week for the lookbook images and sketches, all other images by me! My favorite is the Lyle & Scott one but the others are nice too. I am a big fan of knitted jumpers and although I live in Northern France it can get quite chilly too so wool is just the best thing to keep me warm. I love Emma Lawrie’s grey & red design, it totally caught my eye.